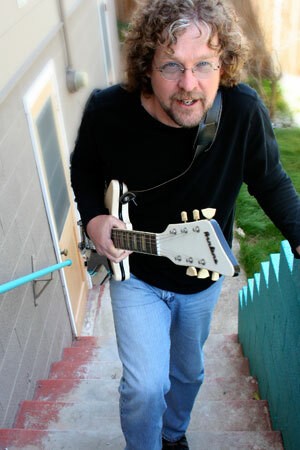 Mandolinist and guitarist Kenny Blackwell, who studied with the legendary Jethro Burns, has been a fixture in the West Coast bluegrass scene since 1978. He is known for his extensive studio work on various projects, as well as his collaborations with progressive fiddler Richard Greene and his membership in the Laurel Canyon Ramblers, a legendary California bluegrass outfit. His background includes collaborations with the likes of Linda Ronstadt, Johnny Rivers and Neil Diamond. While continuing to expand the role of the mandolin outside of traditional bluegrass, Kenny has returned to his retro-rock guitar roots to form The Mystery Trees. Current projects also include the HayDudes, his duo with Dorian Michael, Little Black Train, and The Demos. ©2011 Kenny Blackwell. All rights reserved.